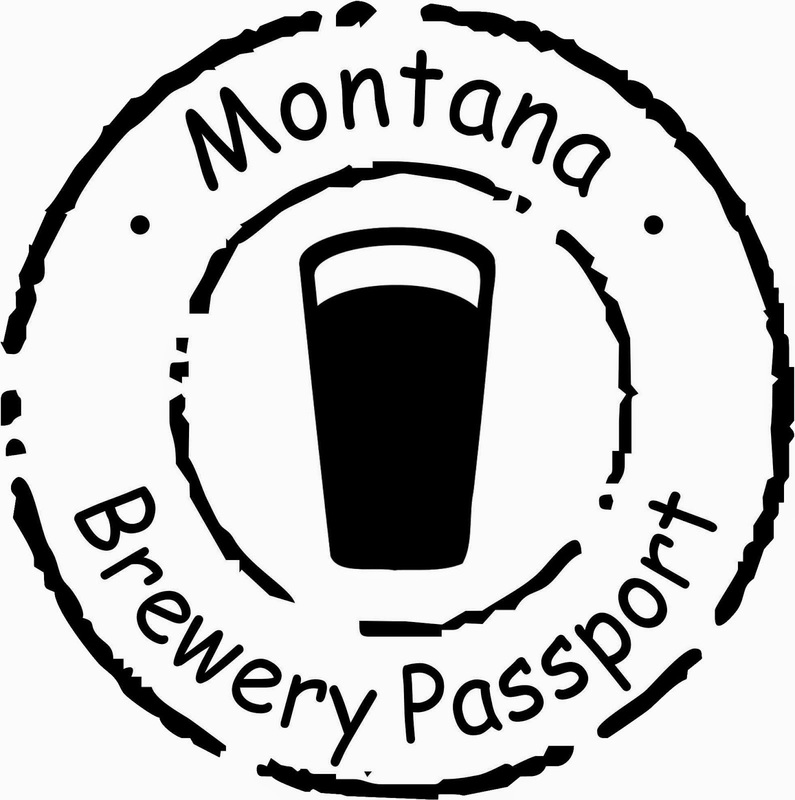 Ringing in their new pubhouse for their first American Craft Beer Week, Flathead Lake Brewing Co. has a week of beer-themed events planned for May 11 - May 17. And they look incredible! 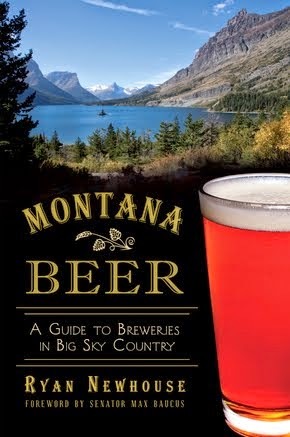 We will kick off the week with a presentation from resident historian Steve Lozar on the history of brewing in Montana, 6-7:30pm. All attendees will get to take home a commemorative American Craft Beer Week t-shirt! Tuesday Toasts with AERO (Alternative Energy Resources Organization). From 5-8pm $1.00 of every beer poured will be donated. 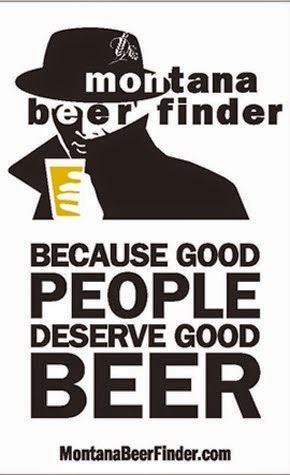 On Wednesday we will have a special Beer Trivia hosted by our Brewmaster, David Brendgard, from 6:30-8:30pm. 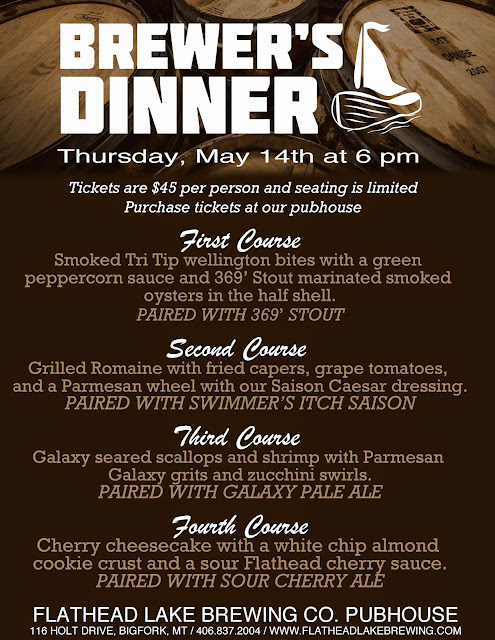 On Thursday, enjoy an amazing four course Brewer’s Dinner in the Imperial Room, $45 per person. Get your tickets in advance! time only! Live music from Swiftcurrent, 7-10pm. On Saturday our Beer Ambassador, Nate Willette, will be hosting a FLBC Pint Night! 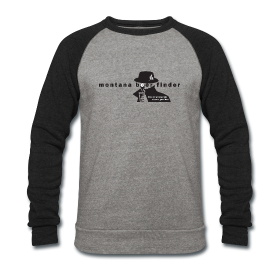 Live music from Mike Murray Duo, 6-9pm. Sunday will be Brewery Tour Day! Get an inside look of our new state of the art brewing facility. Tours start on the hour from 12-5pm. 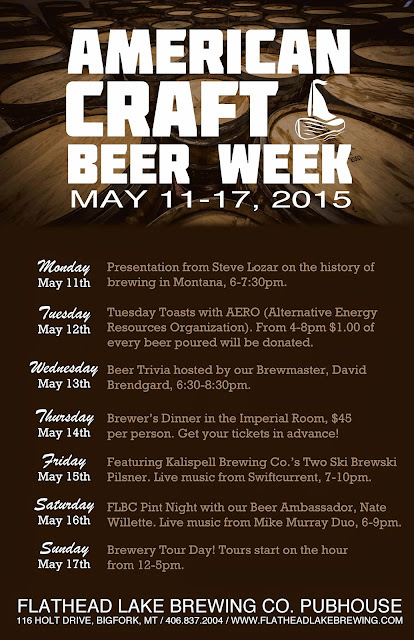 Join us at the FLBC Pubhouse for a weeklong celebration of American Craft Beer. 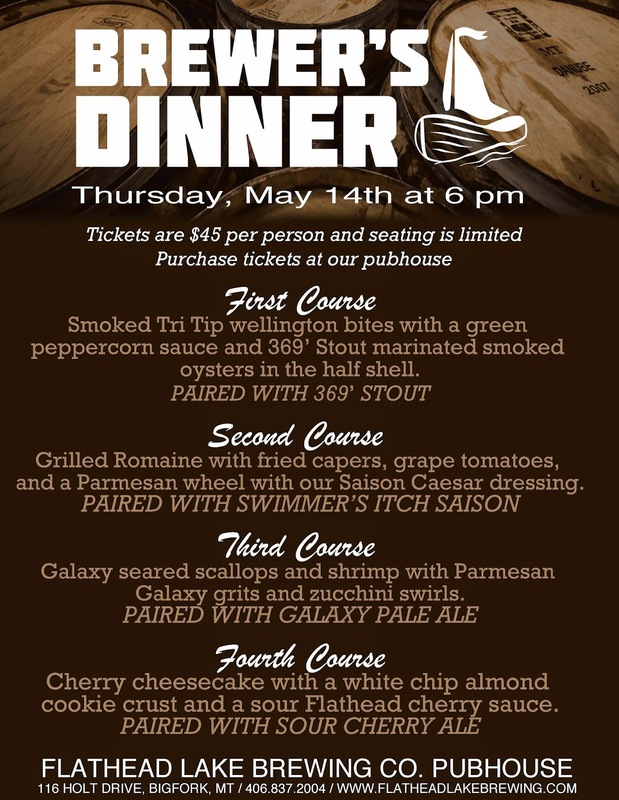 On Thursday, enjoy an amazing four course Brewer’s Dinner in the Imperial Room, $45 per person. Get your tickets in advance! Smoked Tri Tip wellington bites with a green peppercorn sauce and 369’ Stout marinated smoked oysters in the half shell. Grilled Romaine with fried capers, grape tomatoes, and a Parmesan wheel with our Saison Caesar dressing. Galaxy seared scallops and shrimp with Parmesan galaxy grits and zucchini swirls. Cherry cheesecake with a white chip almond cookie crust and a sour Flathead cherry sauce.